Food Safety is NO Joke! 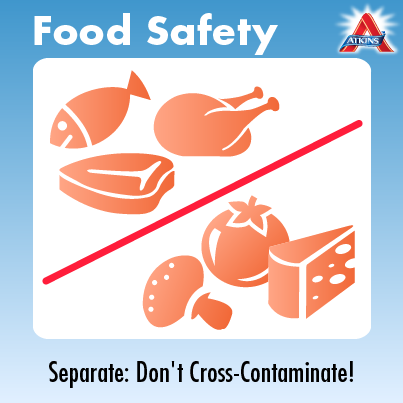 Do you practice food safety? If you are cooking for you or your family be sure that you handle the food safely. Constantly wash hands and surfaces! It is important that you wash your hands and surfaces because bacteria can contaminate food you prepare, and harm you or your family. Remember to wash hands properly for at least 20 seconds with soap and water. 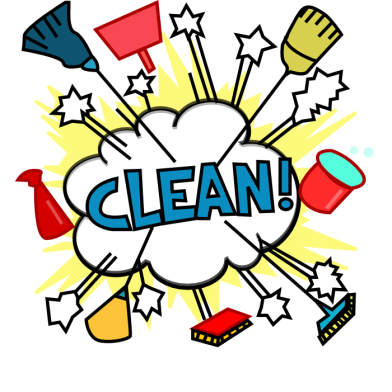 Be sure that all utensils are properly washed to prevent cross contamination. Raw meats, chicken, fish, and eggs can spread different illnesses because of the bacteria they naturally carry. It is really important that you don’t handle these food items near vegetables and remember to separate cooking meats and veggies. Have a plate for raw and cooked meats and remember not to place them on the same plate. Replace your cutting board once it starts to look worn out to avoid bacteria from hiding in small cuts. Store raw meat separately from other food items in the fridge. Cook at the right temperatures! 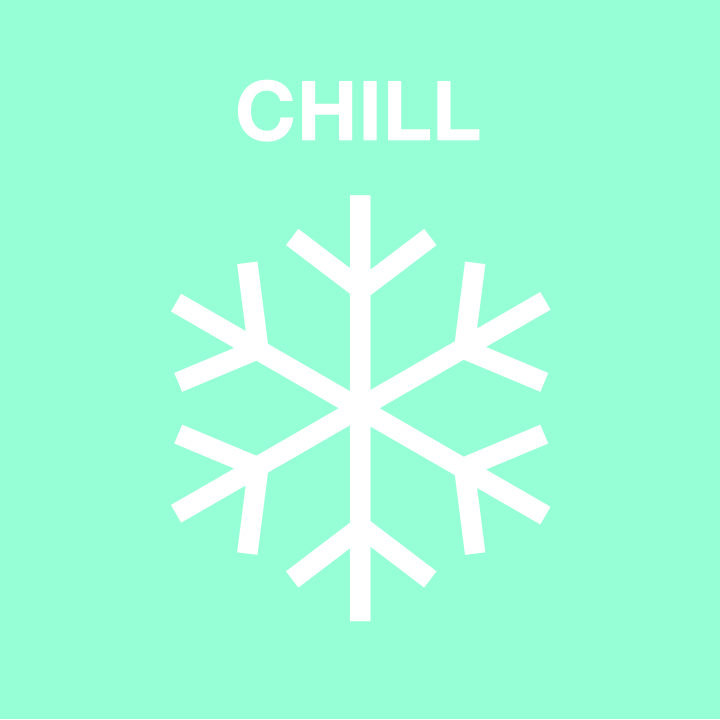 To avoid bacteria from growing, be sure to always freeze your food below 40· and when cooking a hot meal be sure to keep the temperature above 140· Fahrenheit. 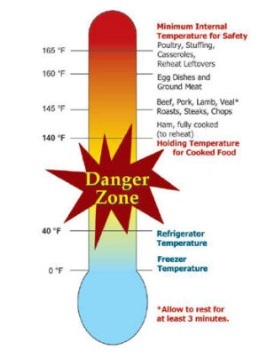 40·-140· is a DANGER ZONE for food safety. Bacteria will begin to grow in your food if you do not put the food away in the refrigerator on time. Refrigerate your food promptly. Don’t leave food out for more than two hours. In the summer, food should be put away within an hour after consumption.